Just west of London, many visitors will visit Berkshire without realising it when they step off the train at Windsor. But there's even more to the county than Windsor Castle, Eton, Ascot and Bray - of three Michelin starred The Fat Duck fame. 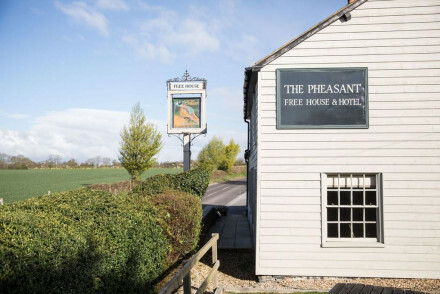 There's also a good selection of accommodation here and our pick of the best places to stay in Berkshire ranges from character filled pubs with rooms, to country house hotels to sophisticated top-notch luxury retreats. Berkshire is where you'll find the Prime Minister's country pile, but it's also popular with the royal family - Windsor is apparently the Queen's favourite castle - and celebrities. It is close to London, but feels properly countrified, so it's a great escape. Reading is one of the largest centres, known for gaoling Oscar Wilde and in more recent years for the music festival. It might not be the most obvious travel destination, but it's surrounded by some of Berkshire's most green and picturesquely rolling countryside, with plenty of thatched roofs thrown in for historic colour. Windsor and Eton are more obvious highlights. The castle's changing of the guard is definitely worth getting up early for. And it's also worth hanging round Eton 'til you've seen a few formally tail-coated school boys and marvelled at the old traditions. On either side of a bridge spanning the Thames, Windsor is where you'll find the shopping and the Great Park, and Eton is where you'll find antique shops and art galleries. Maidenhead, and nearby Cookham, are worth a look. The former for the famous railway bridge designed by Isambard Kingdom Brunel, and the latter because it has an excellent gallery and restaurants - and it's one of the best places to stay in Berkshire if you're looking for a picturesque English village. If you're interested in Egyptology (or a fan of Downton Abbey) you'll definitely want to visit Newbury. This is where you can find the seat of Lord Canarvon of Tutankharmun fame. It's called Highclere Castle and, while still being the family's home, is open for tours, as well as having an excellent museum. Of course Newbury is also where you'll need to be for the races - or Ascot. If you're looking for a fun family day out then head over to Legoland Windsor Resort. This 150-acre spot has tons of great rides and fantastic sculptures made entirely out of Lego - something to give the kids a bit of inspiration for their next project! Get dressed up in all your finery and spend the day at Ascot Racecourse. With three main viewing enclosures, food festivals, fine dining and afternoon tea, it's a wonderfully fun day out. If you're feeling particularly daring then stick a couple of quid on your favourite! Reading Museum is home to a fascinating collection of artefacts, both local and global. Browse through their large Roman collection, have a look at their full-size copy of the Bayeux Tapestry or check out the dinosaur fossils. A splendid spot. A tour of Windsor Castle, the oldest and largest occupied castle in the world, is an absolute must if you're in the area. The Queen's weekend residence, it's full of beautiful paintings, furniture and historical titbits. Make sure to look around with their knowledgeable tour guides and head up the tower for splendid panoramic views. The best places to stay in Berkshire make ideal weekend boltholes, but extend your stay longer and really get to know this fascinating county. The Elephant at Pangbourne is a chic hotel with 22 individually designed rooms featuring handcrafted Indian furniture. Food is good too and mostly locally sourced. 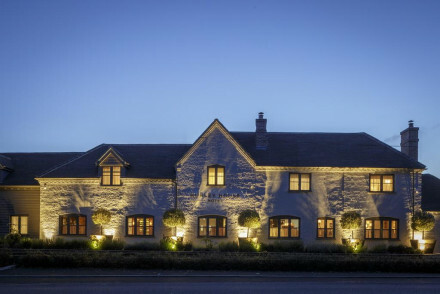 On the Berkshire/ Oxfordshire borders, the Miller of Mansfield is a village inn turned boutique hotel. 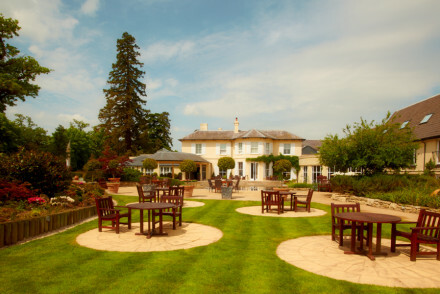 With the beautiful, rural Thames Valley as a backdrop, this hotel is an ideal weekend escape for couples. The Miller is also less than 15mins drive from Henley on Thames, Reading and Oxford, so good for sightseeing. The Olde Bell Inn in Hurley is one of the oldest inns in England - hence the extra 'e'. Cosy and unpretentious, this inn also has excellent gastropub fayre. The Great House is superbly situated in Sonning-on-Thames, right on the riverside. You'll find chic accommodation in a number of historic buildings - featuring vibrant colours and contemporary furnishings. With plenty of activities on offer locally and homely meals served up, this is a terrific stay. The Dundas Arms, set in a grade II lsited Georgian inn, boasts a divine setting on the banks of the Kennet in Kintbury. Their 8 rooms are wonderfully furnished in a classic country style and you can come back after a day out exploring the countryside to relax in the cosy sitting room. Plus, their restaurant specialises in gourmet dishes made using local produce. Coworth Park offers the quintessential English countyside experience, with superb equestrian facilities, beautiful grounds, excellent restaurant and bars as well as an eco-luxury spa. Cliveden House is a wonderful neoclassical pile with original Old Masters on the walls and priceless antiques. There's a boating lake, tennis courts, croquet lawns, pools and spa, and people to drive you wherever you need to go - or pilot your helicopter. 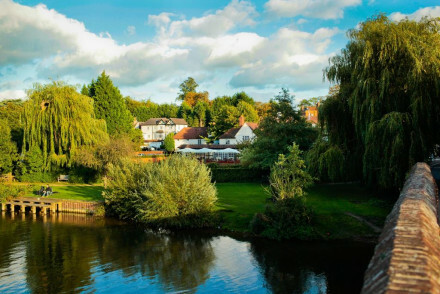 The Waterside Inn at Bray is the ultimate foodie escape, with three Michelin stars earned by Michel Roux and son, Alain, views over the Thames and sumptuous rooms and suites. This is a great place to treat yourself. A great foodie escape, The Vineyard at Stockcross has a gourmet restaurant and a wine cellar boasting 30,000 choices, including a number produced by the owner. Built as a hunting lodge in the 18th Century, some of the rooms are original hunting lodge chic, while some have been modernised. The Crab and Boar oozes history, dating back to the 17th-century! This pub with rooms boasts chic accommodation, some with four poster mahogany beds and hot tubs whilst they all feature deep baths. Their fine dining restaurant (winner of 2 AA Rosettes) is absolutely wonderful, and there are also two acres of manicured gardens. 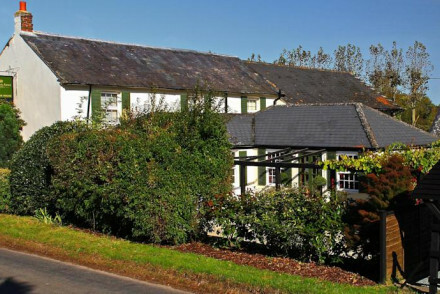 Hurley House Hotel boasts chic boutique rooms with en suites just outside Hurley. Relax in the garden on sunny days and enjoy terrific meals from the restaurant - with Michelin starred chef Michael Chapman in charge of the cuisine. The Queens Arms offers smart accommodation with plenty of dark hues, large beds and power showers. Enjoy traditional British food at their restaurant (accompanied by an extensive wine list) after a day spent hiking, cycling, shooting or fishing. 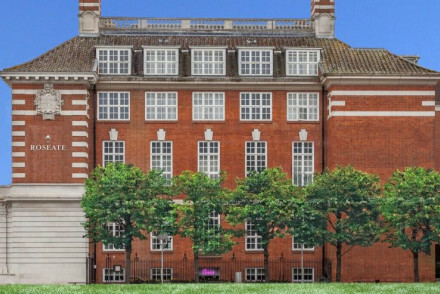 The Forbury is a large stylish townhouse right in the heart or Reading. Expertly blending old with new, their smart accommodation features classical furnishings in an array of colours. Unwind in the private cinema or enjoy a tipple at the smart Cerise bar. Berkshire's fairly temperate maritime climate means it can be visited ay any time of the year, with no seasons of extreme weather. However, it's definitely at its nicest during the summer - with the average temperature around 21-22°C in July and August. International visitors could feasibly fly into any London Airport, though the closest to Berkshire is London Heathrow. If you're heading from Heathrow to Reading then you can hop on the train which takes just over an hour. Those going to Windsor can take the First Bus 8 from the airport which takes under an hour, runs regularly from 6am to 10pm and costs around £6.00. If you want to widen the net, why don't you take a look at our recommendations in Oxfordshire? 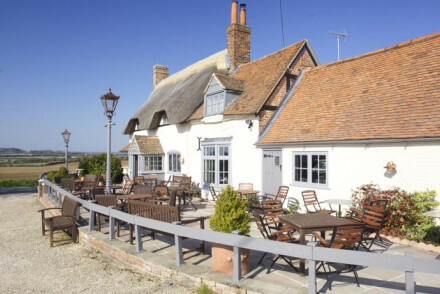 A stylish country inn located in the small village of Curridge and easily accessible from London. Smartly designed rooms feature dark hues, crisp white linen and rustic chic furniture. 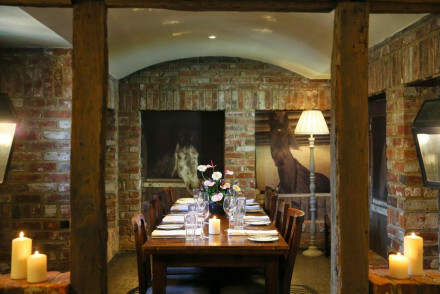 A lively restaurant, set in a converted stables, serves award winning gastro pub fare. Country Escape - Expect stylish rooms, hearty food and glorious countryside to be explored. Sights nearby - Discover the stunning Highclere Castle which was the setting for TV series Downton Abbey. Great walks - Discover miles of beautiful walking trails starting from near the property. 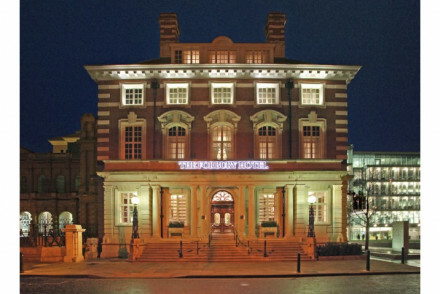 Luxury hotel in an historic red-brick mansion in Forbury Gardens, a lovely Victorian town park. Furnished in a hip and quirky manner with bold designer pieces and fabrics, while commissioned artworks are peppered throughout. Boasting a mouthwatering gourmet menu - prepare to be delighted! Foodies - Sample local produce expertly crafted into contemporary British dishes. The cocktails are noteworthy too! Sights nearby - The medieval Reading Abbey is a short walk away, and why not check out nearby Windsor on a day trip too? 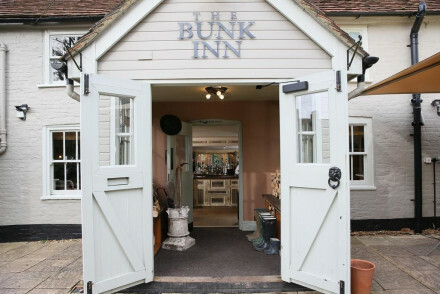 A self-proclaimed quintessentially British Inn set in a quiet village surrounded by pretty countryside. Cosy rooms feature white washed walls interrupted by uneven beams, softly patterned fabrics and traditional art. Contemporary British fare is served in the restaurant alongside excellent ales. 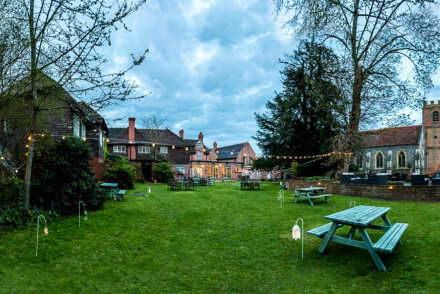 Country Escape - An ideal rural pub set in a quaint village and serving a choice selection of ales and hearty food. Cooking classes - Book a cooking course at the Mike Robinson cookery school in Yattendon. Sights nearby - Visit the National Trust Georgian mansion Basildon Park. 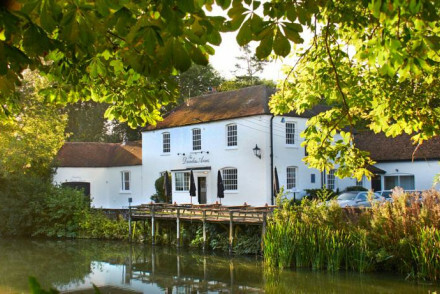 Situated in the beautiful Lambourn Valley, this hotel encapsulates the charm of a bygone era. The restaurant serves a classic English menu accompanied by a great wine list. The bedrooms are akin to traditional Inn rooms but with luxury, contemporary touches such as power showers and sumptuous beds. Views - Many of the rooms have views of the paddocks. The Great House enjoys a wonderful riverside location in Sonning-on-Thames, Berkshire. Quirky contemporary accommodation offered in the historic 16th century palace yard, 17th century coach house or the clock tower. Chic furnishings and bright colours. Homely dishes are served. A lovely retreat! 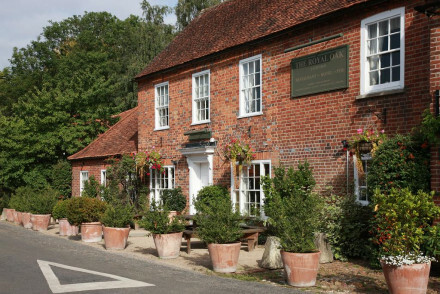 Aptly named due to its proximity to the Ascot racecourse, the Winning post, is a traditional inn with plenty of charm. Roaring fires, hearty food served in the restaurant and a great selection of ales are provided downstairs. On top a handful of traditionally dressed rooms are comfortable and cosy. Local exploring - Ideally located to access Ascot and Royal Windsor racecourses. Sights nearby - Discover the history and explore the gardens at Windsor Castle. A beautifully refurbished rural Inn set overlooking the Berkshire Downs. Smart rooms feature white washed walls, sash windows and pops of colour from the soft furnishings. Feast on exemplary pub fare after days spent taking long walks in the picturesque surrounding countryside. Country Escape - A lovely rural spot with easy access to London, ideal for weekends away. Sights nearby - Visit Highclere Castle set in 1,000 acres of sweeping Hampshire parkland landscaped by 18th century gardener Capability Brown. Local markets - Scour the Wednesday and Saturday markets for local produce in the historical town of Malborough. Great walks - Take long walks through the North Wessex Downs, declared an Area of Outstanding Natural Beauty. The Crab and Boar is an historic rural pub with rooms providing contemporary countryside accommodation with comfortable, cosy interiors and a relaxing restaurant for perfect weekend getaways. Some rooms have a private hot tub and terrace. Plenty of country pursuits and outdoor activities nearby. The Dundas Arms is a grade II listed Georgian inn on the banks of the Kennet, in picturesque Kintbury. Eight rooms are decorated in classic country house style, with feature wallpapers & luxurious bathrooms - river rooms with private terraces. Formal & pub style dining ensure something for all. Local markets - The nearby market town of Newbury has plenty of shops selling local produce. Fishing - Fly fishing on the River Kennet is popular in the summer months. Great walks - Traverse the Ridgeway National Trail. Rural, chic hotel in a bustling village. Handcrafted Indian furniture, oriental rugs, delicate fabrics. Elegant restaurant with local produce. A chic boutique B&B located in the pretty village of Hurley, just a short drive from London. Four individually styled rooms are light and bright with soft hues, simple furniture and contemporary bathrooms. Indulgent breakfasts are served and picturesque countryside is just minutes away. 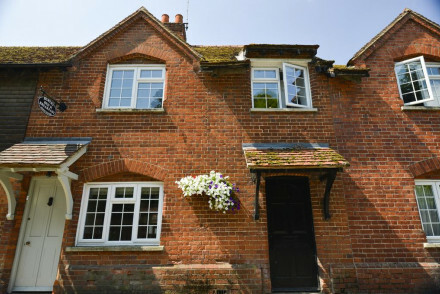 Local exploring - Ideally positioned in a pretty village close to London, surrounded by good restaurants and numerous activities. Sights nearby - Visit Windsor Castle, the largest and oldest inhabited castle anywhere in the world. Great walks - Take picturesque walks along the Thames path. Hurley House Hotel is a reinvention of the classic English inn, providing boutique and contemporary accommodation in the heart of Berkshire. Its rooms are decorated in a smart fashion and come with an en-suites. Sit out in the large garden on sunny days. A wonderfully relaxing spot! Sailing - There's plenty of opportunity to go rowing on the Thames and the Henley Regata is not to be missed! 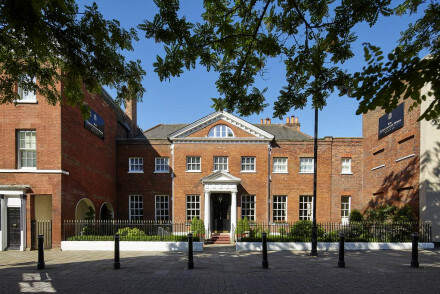 Large stylish townhouse hotel in the centre of Reading. Modern interiors, bright colours, all the mod-cons. Suites and apartments. Restaurant and hip bar. 5* country escape close to Newbury in Berkshire, just an hour from London. A 30,000 strong wine cellar in a luxury hotel with award winning spa for the ultimate pampering. Spacious rooms and suites offer elegant comfort. The perfect country getaway for romance, girlie breaks or simply a great meal. Foodies - Head chef Daniel Galmiche specialises in classic french/Mediterranean cuisine with a modern twist. Spa - Award wining spa with a wide range of therapies and treatments on offer. A buzzing restaurant complete with elegant studio apartment and king room. 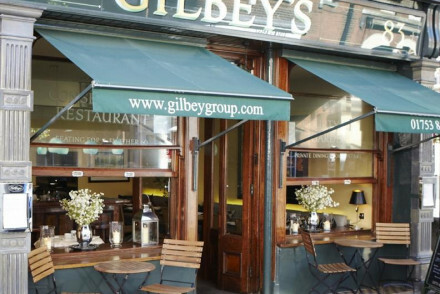 The restaurant is undoubtedly one of the best in town with imaginative menus & excellent wine list. The accommodation is traditional in style yet complete with all the mod-cons. A fabulous base to explore this royal region. Local exploring - Located on Eton High Street, a short walk from Windsor Castle and Eton College. Great walks - Take a stroll through the picturesque Windsor Great Park. Sights nearby - Take a tour of the Queen's residence, Windsor Castle. A grand hotel boasting beautiful views over the Thames. Contemporary rooms are light and airy with soft patterns and simple furnishings. Downstairs is a completely different affair with ornate reception rooms complete with antiques, fireplaces and gilded frames. There's a fabulous restaurant too. Local exploring - A fittingly grand hotel in the heart of this royal town. Great walks - Stroll through Savill Garden, part of the Royal Landscape in Windsor Great Park. Ultimate foodie venue with three Michelin stars, on the banks of the river Thames. Run by top chefs Michel Roux and his son Alain. Sumptuous suites and bedrooms. 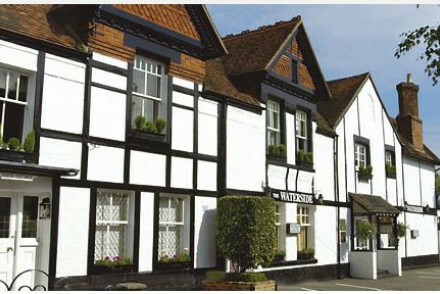 Restaurant - The Waterside Inn holds three Michelin stars. This elegant country retreat on London’s doorstep delivers the Dorchester Collection's signature of five-star luxury and discreet service. 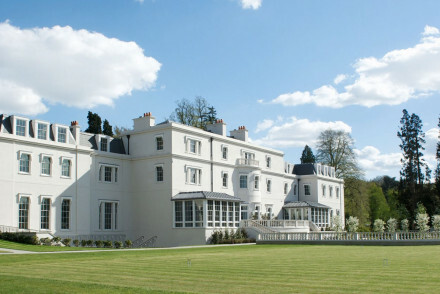 A grand spa and outdoor country pursuits provide a mix of indulgence and activity, while Restaurant Coworth Park offers Michelin starred British fare.